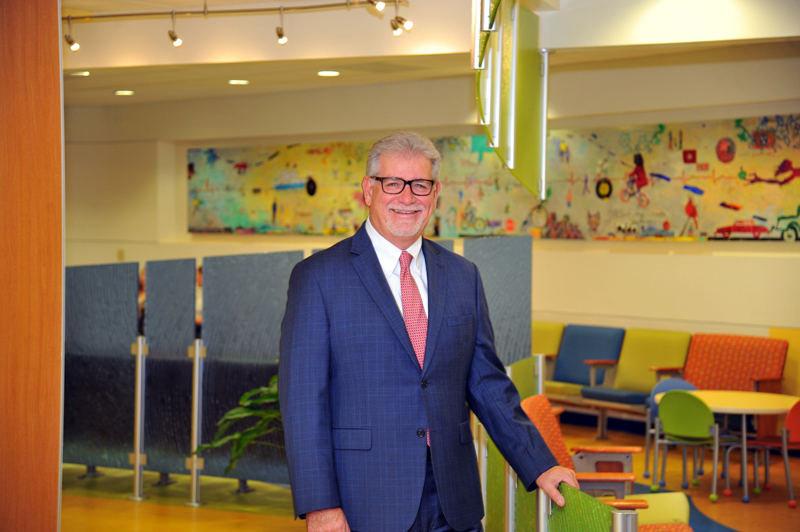 In 2007, Goodwin was recruited to replace Bob Koppel, who was retiring as President/CEO of East Tennessee Children’s Hospital after 31 years. He and his wife Dianne have three children and six grandchildren, all of whom live in Ohio. “The size of our community creates an intimacy,” he continued. “The kids we have the privilege to care for are the kids we’re going to see at church and at school. In a relatively small community, people are connected in so many ways. That’s a good thing.” “If you’re new to town you have to understand how connected everyone is,” he observed. “We’ve increased outpatient services,” he continued. “More and more is being done not in a hospital but in offices. A tonsillectomy has changed from a four day to a four hour procedure. “We’ve got our toe in the water in telemedicine,” he said. “We’re a regional center so repetitive visits are not very efficient. “This hospital started as East Tennessee Crippled Children’s Hospital during the polio epidemic,” said Goodwin. “Now we’re a leading children’s hospital in the country.